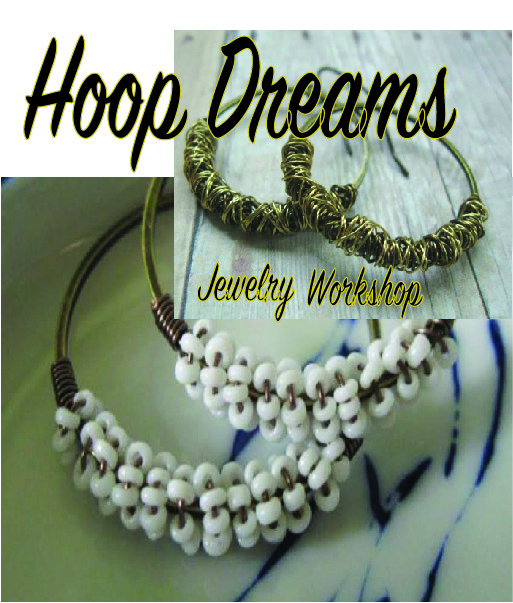 Come treat yourself as you learn design using wire and beads to make your Hoop Dream earrings! Learn how to make two different designs using different materials and techniques when Markella of Allekram Designs returns, as our February guest artist. She will teach and inspire you, as you create beautiful custom designs…earrings of your dreams…hoop dreams that is! Kids ten and older can attend solo. As always all materials and instruction are provided along with free parking. Please select from 11am or 2pm class.